Groundwater recharge from rainfall is a major input into aquifers, especially in arid and semi-arid areas, where little or no surface water exist. However, estimation of rainfall recharge is not an easy task as it is highly variable spatially and temporally. In arid areas, recharge occurs indirectly after rainfall-runoff accumulates in low lands such as Wadis and percolates the aquifer. 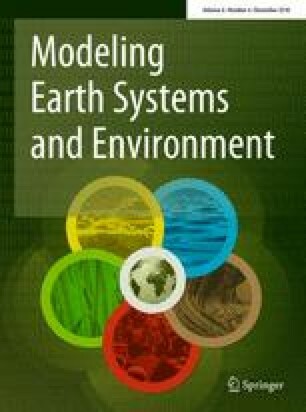 The method proposed in this study to estimate rainfall recharge is based on soil–water budget model and utilizing geoprocessing tools in GIS. It uses digital elevation model (DEM), land-cover and rainfall distribution to estimate runoff accumulation in low lands. The soil–water budget model is then applied to estimate the groundwater recharge in areas of runoff accumulation. The proposed methodology was applied on Qatar karst aquifer as a case study. The spatial resolution of raster maps was 350 by 350 m and the temporal resolution is one day. Results obtained in this study for the hydrological year 2013/2014 show the total groundwater recharge is approximately 14 million m3, and concentrated more in the northern part of Qatar. The method can be applied on any arid region. This paper was made possible by NPRP grant # [NPRP 9-030-1-008] from the Qatar National Research Fund (a member of Qatar Foundation). The findings achieved herein are solely the responsibility of the authors.